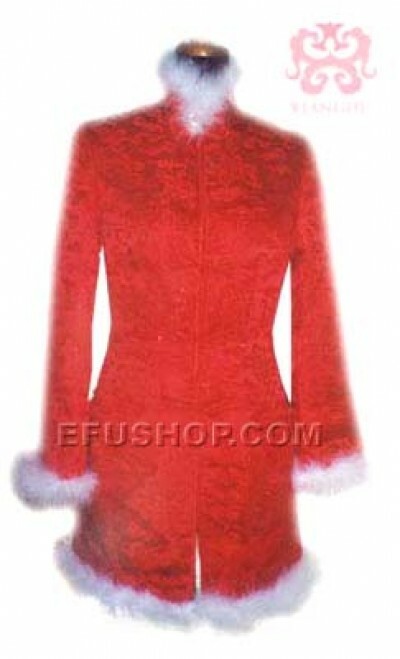 Description: Red brocade thigh length jacket. With white feather attached on the collar, cuff and the bottom of the dress. Fine shape in the waist part. Elegant and attracting.